Iran is mass producing a new ballistic missile which can travel at more than three times the speed of sound and hit targets on the high seas, top commanders said on Monday. Commander Mohammad Ali Jafari, who heads the elite military force, the Revolutionary Guards, said the missile — named “Persian Gulf” — had a range of 300 kilometres (185 miles). 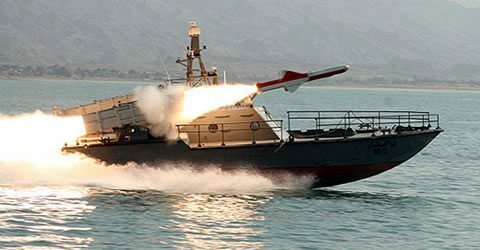 “Iran is mass producing a smart ballistic missile for sea targets with a speed three times more than the speed of sound,” state news agency IRNA quoted Jafari as saying about the new missile. He said the missile was “undetectable and can’t be neutralised by enemies,” without specifying the name. “It has very high precision in destroying targets,” Jafari added. 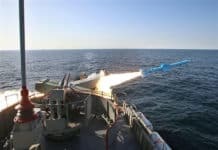 “As the enemy’s threats will likely come from the sea, air and by missiles, the Guards have been equipped with capabilities to neutralise the enemy’s advanced technology,” he said, according to another Iranian news agency, ISNA. 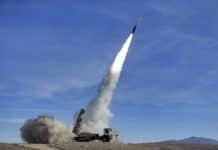 Iran’s missile and space programmes have sparked concern in the West that such advanced technologies, combined with the nuclear know-how which the nation is acquiring, may enable Tehran to produce an atomic weapon. Tehran denies its nuclear programme has military aims. 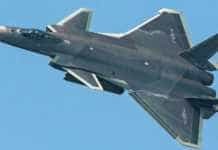 The new missile can be fired “from surface ballistically and can hit enemy vessels from a high altitude,” Amir Ali Hajizadeh, head of the Guards’ air force wing told Fars news agency. 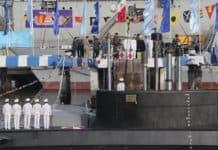 “The missile is named Persian Gulf…its warhead will carry 650 kilogrammes of explosives,” he said, adding that the missile was powered by solid fuel and designed by the Guards. Footage on state television showed the missile being fired atop a mobile launcher from a desert terrain. The announcement of the new missile comes as Iran holds celebrations to mark the 32nd anniversary of its Islamic revolution which toppled the US-backed shah. Iran uses the run-up to the February 11 anniversary to tout its scientific and technological achievements. In a separate function, Iran unveiled four new home-built satellites and engines of a rocket. 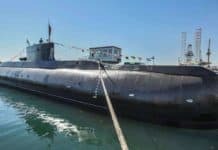 Meanwhile the head of naval Guards’ naval forces, Ali Fadavi, issued a warning that Iran will hit back if it came under attack. “The Islamic republic has the ability of blocking the Strait of Hormuz if threatened,” Fadavi told Mehr news agency. Iranian military officials regularly warn of blocking the Strait of Hormuz — the route through which 40 percent of world’s oil supply by sea passes — in case Iran comes under attack. 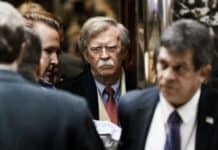 The United States and Israel have never ruled out the option of military strikes against Iran to stop its nuclear programme.